The current situation in the world of corporate apps can be described with one word, chaotic. Between legacy code that has been around for N years jumping from developer to developer with no documentation. To over complicated interfaces that are over complicating the code. To a mixture of N technologies in one single app. Lets face it, these things were not built with maintainability and support in mind. The problem we face today is, how do we fix all these apps? Where do we start? How do we bring sanity into them? How do we bring them into state of the art tech stacks? 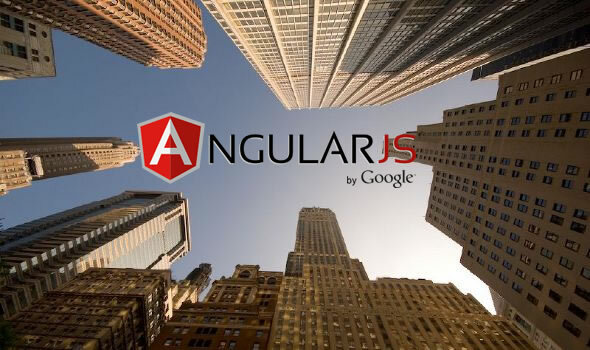 This post represents my opinion of why using AngularJS in corporate applications will not only bring sanity to your apps, but it will allow them to evolve into the future. In an Enterprise you are probably starting with an ugly brownfield project, not a nice green field. Something that has been cooked and baked many times over. Making sense out of it is so hard that developers normally tend to just throw away and rewrite. This of course affects cost and time. With AngularJS this is not the case. You can start by sprinkling it in some places of your app that you can slowly start to rewrite. Believe me I’ve done this before and it actually WORKS. Not only does it work but it allows you to put the seed of a soon to become amazing application. Given the fact that you can put your ng-app anywhere, you can say for instance – Hey, why don’t we start updating this app with the home screen. Then you get your back end guy to write the web services (yes I am a front end developer), you start writing your tests with Karma Test Runner (thank you Voijta Jina) and in no time you suddenly have a Controller a View and Model for the home section of your app, which kicks in when a the given home route is reached. All of this controlled by AngularJS and living nicely encapsulated in its own little world. My friend you have just done a very very good deed. Technology changes so fast that keeping up to speed has become quite a hard task. You either have the right ways of learning or you suffer buying all kinds of O’reilly books and trying to figure out how this thing works. This allows for large teams to go online at any point in time, take the tutorial and, because they are learning from the same source, they can ask and feed from each other at their own pace. This is very important specially if you have a team that is working remotely from each other. Having the ability to scaffold a project quickly with all the goodies that you need is key to getting started and producing efficiently. I’ve been in projects that take about 1 week just for everyone to jump on and install everything that is needed for the given project. This slows down productivity and it is a clear sign that something is still missing from the recipe. In order to fix this we can use Yeoman. Yeoman is a workflow comprised of a collection of tools that allow you to quickly start, run and build a project. Yeoman glues pretty well with AngularJS (makes sense since they are both part of the same family). Yeoman will allow you (via generators) to create an AngularJS repo that includes all the latest Twitter Bootstrap stuff, angular goodies, Karma Test Runner etc. And glue it all together just by initializing it under a directory with any name (preferably something related to your app). It will use that name to namespace the application and with that, it will create a sample view tied to a sample controller, tied to a sample test (thank you Brian Ford). This structure not only allows you to quickly assemble something up, but it lays the roots for something way bigger to evolve. On top of that, once you are ready to deliver, you just run a grunt command and your files get compressed and combined (use ngmin) and put into a separate distribution folder. How sweet is that! Aside from everything because you are building a single page application, everything should be RESTFUL which means that this app can and will interact with ANY back end code as long as it gives the front end the JSON it needs. You are decoupling your code and logic making it easier to scale and evolve. Situation: There are thousands maybe hundreds of thousands of lines of code in a project. You are dropped smack in the middle of it. There is no documentation and there is a new feature that needs to get implemented ASAP. You start fiddling around with the code, next thing you know something else where breaks and you have no clue why… now you have to spend hours maybe days navigating through spaghetti code to see how your change broke something else.. bad, very very bad. One of the most important things for maintaining a large code base throughout time is the usage of tests. By using Karma Test Runner given to you by the AngularJS generators in Yeoman, you can have your unit tests running all the time in the background, that way if you change anything and hit save, your tests will automatically re-run and you will know if you are breaking something, where you are breaking it, and if the tests are built correctly maybe even why you are breaking it. This is super useful because normally this is how developers test insert a new piece of code. They add in 10-15 lines, they save then whoops, something breaks. Then they comment out 8 lines of code or so. Save, rerun still breaks? No? Ok so the error must be in these 2-5 lines. Way way simpler to do this than to have to navigate through N files of hidden dependencies and figuring out what the previous developer was thinking when they were building this out. So many times you find yourself stuck with a piece of code and have absolutely no idea why it is not working. The community has never failed me so far when it comes to helping me out with a problem. I ask a question in Stackoverflow or a Google group and within a few hours or maybe even minutes, I get the answer I was needing, sometimes even from the core AngularJS team its self! This not only helps you out but by solving your issue, others might solve their issues as well. This speeds up the learning curves and the detection of any glitches that the tool might have. It basically feeds on its self and continues to evolve and grow.